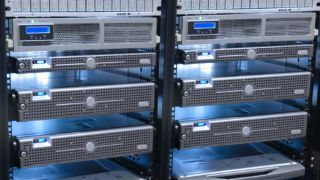 The email server in your business handles more traffic than any other server in your data centre. As the emails that move across your server could contain highly sensitive data, it's vital that your email server has robust security. And in highly regulated sectors, customer information – including the emails they send and receive – need to be secure to meet current regulations. A number of steps can be taken to ensure that email servers are secure. One is to properly configure the mail relay, one of the most important aspects of email server security. All email servers have this option, and you can specify which IP addresses will act as a relay. This is vital, as failure to ensure the SMTP protocol is set up correctly could allow spammers to use your email server to send their spam! Second is to provide a secure login. The SMTP protocols your email server will use means ensuring all users log onto the email server with usernames and robust passwords. This prevents your email server becoming open with the corresponding issues with security and spam. Passwords should be changed regularly as part of your business' security policy. Third is to scan for viruses. Incoming email could contain malicious code, especially within any attachments. Ensure that every incoming email message is scanned before being forwarded to its recipient, and ensure that your anti-virus software is up-to-date. Next is to authenticate emails addresses with reverse DNS. eMail servers can use DNS lookup to ensure that a recipients email address is valid. This checks the sender's email domain before accepting a message. This security protocol is a good way to reduce incoming spam and protect against emails containing malicious code. Finally, when using POP3 encryption and IMAP authentication, remember that these types of email do not have robust security protocols. To deal with this, TLS (Transport Layer Security) and SSL (Secure Socket Layer) can be used to authenticate messages as they move across your email server. Malicious code and spam messages can all have a massive impact on the efficiency of your email server and therefore, your wider business. The email server in your company is often overlooked as a potential channel for security breaches. How secure is your email server?